With the help of our state-of-the-art infrastructure unit, we are able to manufacture and supply superlative quality Paver Block Lacquer. The paver offered by us acquires several elegant looks, alluring designs, and gorgeous patterns. Our offered paver can be installed with ease anywhere in institutes, colleges and other residential places. 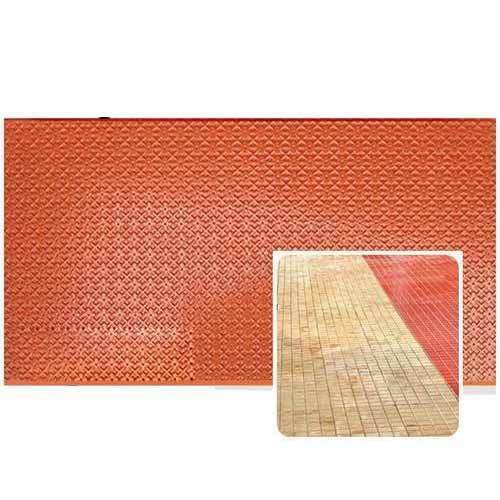 The offered paver is quite spacious and provides maximum utilization of available space. Established in the year 2011, at Rajkot (Gujarat, India), we “Dhruv Polycoat”, are engaged in Manufacturing and Supplying wide range of Acrylic Resin, Concrete Paver Coating, Paver Block Chemical, Shiner For Paver Block, Paver Block Hardener, Lacquer Thinner, Tiles Top Coating, etc. Known for their features like water proof, purity, impeccable quality, durability and precise composition, these products are highly demanded in the market. The offered products are manufactured using advanced techniques and high quality basic material as per the set industry standard norms. To provide safer delivery at user’s end, the offered products are made available in safe and water proof packaging option.